Many teachers prefer Multiple Choice questions to others such as Fill in Blank and True/False. It is mainly because this eLearning question has high reliability, validity, and manageability. Let’s learn how to create Multiple Choice questions with ActivePresenter in the below tutorial. A Multiple Choice question is much like a Multiple Response question. That is, it also includes multiple answer choices. But the key difference is this question type has only one correct answer. Here is an example of a Multiple Choice question. We use this question type to test learners on a discrete fact. Multiple Choice questions offer some considerable benefits. First, they are easy to build and useful to assess a wide range of learning objectives. Simply put, you can use them to test the recall of discrete facts and events as above example. Second, teachers can increase the difficulty level of the question by adjusting similarity of distractors. Hence, learners can feel more excited to join the test. Third, scores in Multiple Choice questions are less influenced by guessing than scores in True/False questions. The following parts show you techniques to work with Multiple Choice questions in ActivePresenter. In the Interactions tab > Multiple Choice . In the Home tab > Interactions > Multiple Choice. A Multiple Choice question has three parts. The top text box is where to add the question title. The middle part contains an answer. The third part has feedback messages and a Submit button. Each answer choice comes with a radio button. Note: To change the tab order value, first select the question. Then, access the Properties pane > Interactivity > General. For next steps, see Using Tab Order. 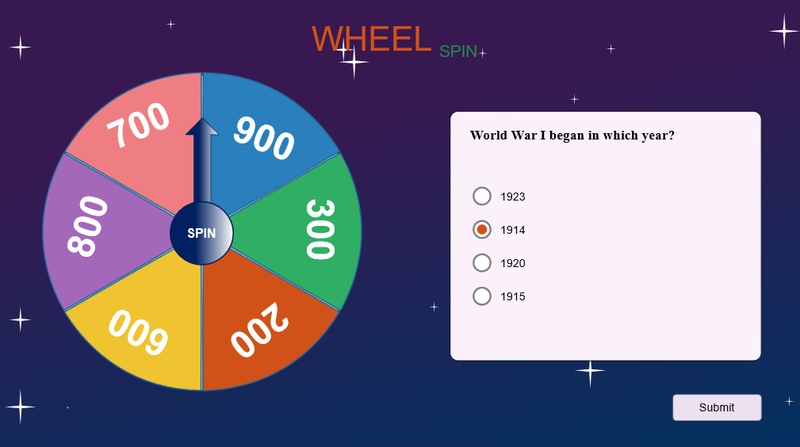 Add answer choices: Select the question and click the green button (1). Then, the app adds a pair of answer choice and radio button towards the bottom. Delete answer choices: Select one or more answer choices and press DELETE. Or, right-click the answer choices and select Delete. 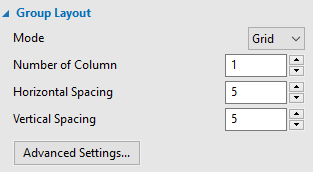 Change question layout: Select the question. Then, go to the Properties pane > Size & Properties > Group Layout. You see the Grid mode is selected by default. To change the question layout, customize properties the way you want. Edit radio buttons: Free to format and style radio buttons like you do with a normal radio button. See Working with Check Boxes and Radio Buttons for more details. Tip: After customizing the question/radio button, right-click it and select Set as Default Multiple Choice Question/Set as Default Radio Button. Then, this question/radio button appears each time you insert a new Multiple Choice question/radio button. 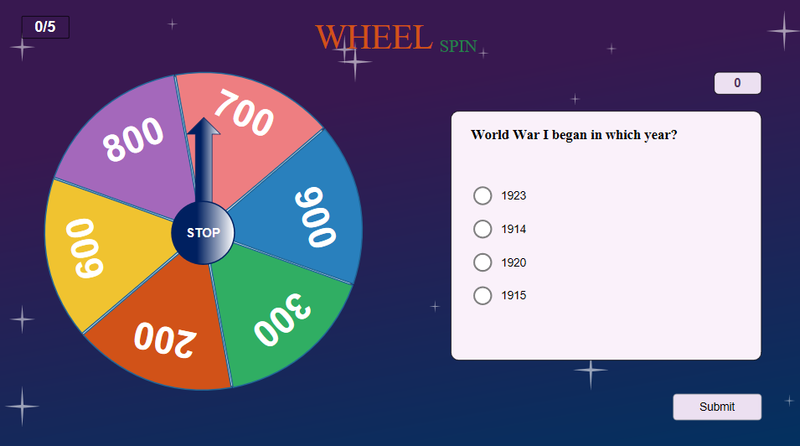 To set the correct answer, double-click the radio button that corresponds to the correct answer choice. Do this in a flash! 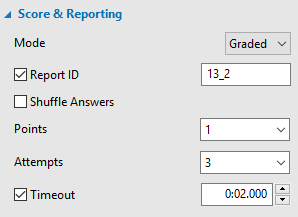 To set scores and reporting for a Multiple Choice question, select the question first. Then, go to the Properties pane > Interactivity > Score & Reporting. This shows you the Score & Reporting section like the screenshot below. As can be seen, this section provides a lot of useful options. For example, you can select Graded or Survey to create a graded or survey question. In addition, Shuffle Answers is a practical feature which allows shuffling answer choices. For more details, see Defining Score and Reporting for Interactive Questions. This feature comes in handy when you want to set scores for almost correct answers. Basically, Multiple Choice questions have default events and actions. But you can change them or make them more advanced as you wish. To do that, first select the question. Next, go to the Properties pane > Interactivity > Events – Actions. If you’ve selected the Graded mode early on, this is what you’ll see. In the Graded mode, a Multiple Choice question has four events: On Correct, On Incorrect, On Timeout, and On Incomplete. But it just has three events: On Complete, On Incomplete, On Timeout in the Survey mode. In general, the app offers default feedback messages for this question type. However, you’re free to remove or add messages if you want. So, you can show your feedback in the right place at the right time. 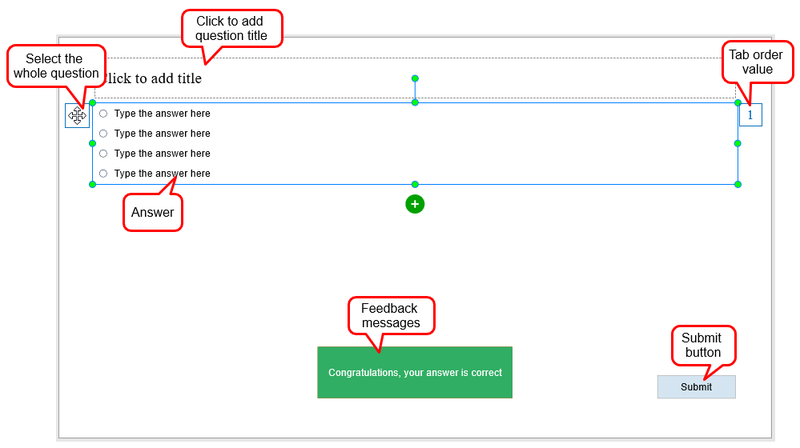 See Working with Feedback Messages to get more details. That’s it! 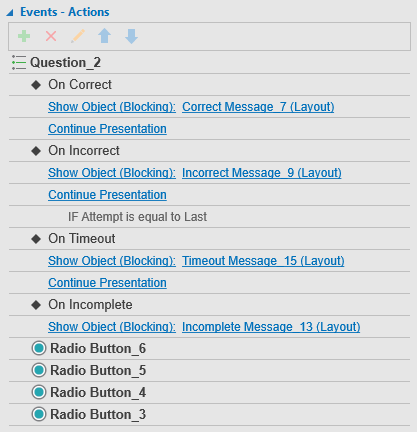 Now you’ve learnt how to work with Multiple Choice questions in ActivePresenter 7. Hope that it helps.